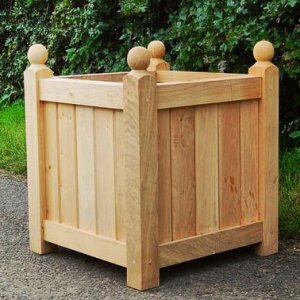 If your style of gardening is the traditional gentle English country cottage garden style. Then the old roses with their soft colours and sweet scent will fit perfectly. Nothing could be nicer. Roses planted in planters are very thirsty: If you buy roses that are already growing in a planter or pot transplant them immediately once you get them home. If that is not possible, make sure you keep them well watered. Immerse the planter in water for at least an half an hour before transplanting. If you plant your roses in the spring they will be more vulnerable to drought than roses that have been planted in the autumn. So ensure you keep them well watered and when the weather is particularly dry water them thoroughly on alternate days. 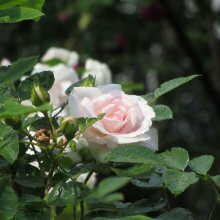 Plant your roses in a sunny site: Do not forget the golden rule of rose growing; 'roses adore sunshine' and to get the best show from your roses position them where they will be bathed in plenty of sunlight. The soil should be neither too wet or too dry: If your soil is too wet or waterlogged your roses will not thrive. Heavy clay soil should be well dug and the drainage improved to prevent your roses becoming waterlogged. Be wary of planting your roses in areas where the rain cannot water them, near walls, fences or hedges for example. Also be careful not to plant your rose next to a house water down pipe or an area where there is excessive water that could drown your lovely roses. Planting roses in wet weather should be avoided: If you have bought your roses and there has been a severe frost or it has been raining continuously, wait until the weather improves before you plant you roses. 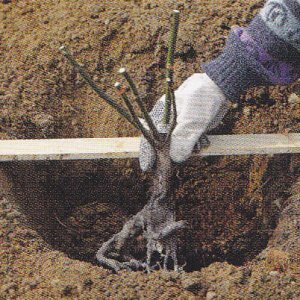 If you have bought bare rooted roses then you need to get them into the ground before planting them in their final position. So choose somewhere sheltered from the sun and then dig a trench with a sloping side. Lay your roses against the slope, spreading the roots, making sure that each rose is separated by five centimetres or so(ie. no roots overlapping) and then cover the rose to about a third of the way up its stem with soil. When the better weather arrives prepare the rose bed for your roses and the move the roses from their temporary home to their newly prepared bed making sure that the rose roots are in the open for the minimum amount of time. 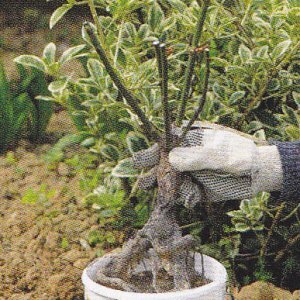 Hardening up your roses: To make roses more resilient they need to be planted in the autumn. Then only watered once in the first year of growth. Then allow mother nature to do the rest. The most vigorous roses will survive without too much care. However, if there is an extended period without rain water these roses copiously once or twice. Even the hardiest of plants can die without any water. 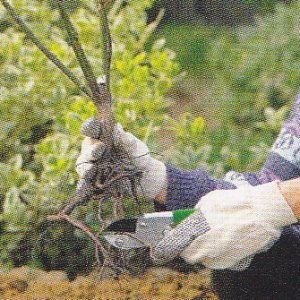 Trimming the roots of roses: When planting your new roses check to see if their roots are tangled and dense. If they are use sharp scissors or secateurs to trim them. 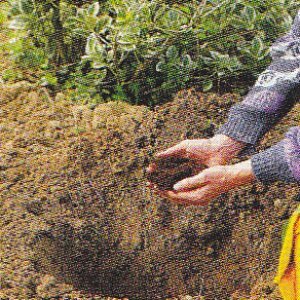 Doing this will give the remaining roots the space to grow quickly into their new home. To improve your roses colour: Many gardeners think that the colour of roses is improved by adding banana skins into the soil. Using either fresh or dry banana skins just add them to your rose bed soil. 1. Dig a hole forty to fifty centimetres deep and loosen the side and bottom of the hole with a fork. 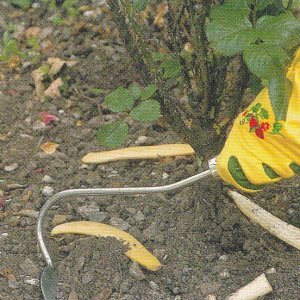 Mix a dedicted granular rose fertiliser into the planting hole before you place the rose in the hole. 2. Untangle the roots, cutting off any that are damaged, and trimming the other roots back to about a two thirds of their length. Also cut the stems back to about a third of their original length removing any that are diseased, crossing or dead. 3. Dress the roots in a solution of soil and water. Do this by having a bucket full of very liquid mud and dunking the roots. Doing this will prevent the roots from drying out when planted. 4. Build a mound of earth in the bottom of your hole, place your rose on the mound spreading the roots of your rose around the mound. The neck of your rose should be just below the surface of your rose bed. Fill the rose hole with soil. Firm the soil around the rose with your hand or foot and then water your rose.